What is an Embassy or Consulate? The Embassies and Consulates of Pakistan are Pakistani offices that represent the Government of Pakistan abroad and depend on the Ministry of Foreign Affairs. The embassies attend in particular the political relationship with the State and Government in which they are located and, within the different sections of which they are composed, they have a specialised one to attend consular matters. The Consulates, on the other hand, are General or Career, attend autonomously the consular matters of their competence and, in what concerns the handling of the foreign policy of Pakistan, coordinate their actions with the Embassy. To foster the best relations between Pakistan and the country in which they are located (a function that the Embassy does in particular). To protect, in accordance with the principles and norms of international law, the dignity and rights of Pakistani’s and to take actions aimed at satisfying their legitimate claims. Being a source of information for Pakistan and for Pakistan. Promote knowledge of Pakistani culture. Encourage tourism, trade, scientific and cultural exchange. Exercise, within certain limits, notarial functions, and civil registry. To issue, in favour of Pakistan nationals, and at their request, documents such as Passports, Declarations of Pakistani Nationality, National Military Service Charters, Household Certificates, Birth Records, Marriage, and Death, among the most important. The embassy is in charge of exercising the Political Representation of the State since it is the only legal interlocutor of the Government that it represents before the Government of the country in which it is accredited. For its part, the consulate must protect and ensure the interests of its nationals, based on the rules of International Law and the Receiving State. In addition to Pakistan’s embassy in Washington, D.C., Pakistan has 8 other offices in the United States. These embassies include consulates in different states in the US like St. Louis, Chicago, Houston, Texas, Los Angeles, New York and Framingham. The United States of America has 4 other representation in Pakistan. These embassies are located in Islamabad and consulates in Karachi, Lahore, and Peshawar. The United States of America is building a 56 acre of the embassy here, which is even larger than the white house. Its 16 new buildings including seven-story office buildings and it are the second largest US embassy around the world. The High Commission of Pakistan in Ottawa is located at 10 range road in the sandy hill neighbourhood. The building was designed by prominent Ottawa architect Werner Ernst Noffke. 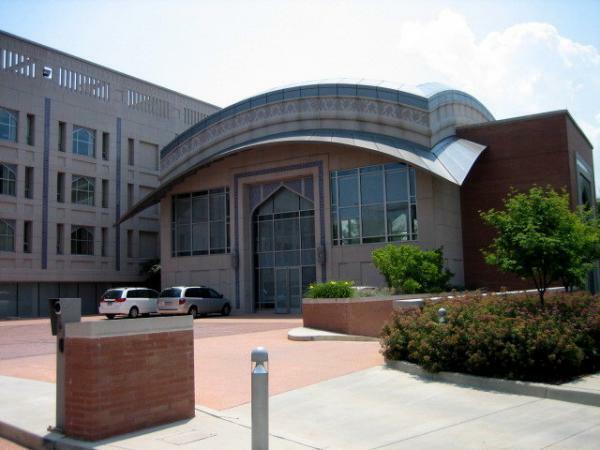 The building was purchased by Pakistan in 2004 for $1.6 million. The Pakistani Embassy office is one of 620 foreign representations in Canada, and the other of 135 foreign representations in Ottawa. In addition to Pakistan’s consulate in Perth, Pakistan has 2 other representations in Australia. These representations include a high commission in Canberra a consulate general in Sydney. Embassy in Switzerland concerning all the matters and all the relations between two countries (Pakistan and Switzerland). Pakistan’s embassy in Bern is the only Pakistani representation in Switzerland. Embassy of Pakistan have 318 foreign representations in Switzerland, and also 91 foreign representations. Pakistan’s embassy in Muscat is the only one Pakistani office in Oman. The Embassy of Pakistan in Muscat is one of 162 Pakistani diplomatic and consular representations foreign. We hear all the time about trips to India and the term is so standardised that few know and inquire at specific destinations within the country. There are many and very different Hindu cities that can be visited when travelling to the East. Islamic Republic of Pakistan New Delhi is located at No. 2/50-G, Shantipath, Chanakyapuri, New Delhi-110021 and contact detail is PABX No (+91-11) 26110601-02, 26110605, 24100905. In addition to the embassy in Madrid, Pakistan has 2 other offices in Spain. Representations are consulates in Barcelona and Bilbao. Spain has 3 representations in Pakistan. The representations are an embassy in Islamabad consulates in Karachi and Lahore. The embassy in Madrid is one of 162 diplomatic and consular representations of Pakistan in the world. Pakistan’s Embassy office in China, Pakistan has 3 different portrayals in China. These offices in Chengdu, Guangzhou, and Shanghai. China has 2 embassies in Pakistan. This embassy a government office in Islamabad and office general in Karachi. The Pakistani government office is one of 371 foreign in China, and one of 171 foreign portrayals in Beijing. The consular emergency telephone is intended exclusively for the attention of PAKISTANI CITIZENS who are in a situation of TRUE EMERGENCY (such as Accidents, disappearances, etc.). NO ISSUES OF VISAS OR OTHER ADMINISTRATIVE PROCEEDINGS OF THE CONSULAR SECTION will be answered, which are treated in the Embassy during the official working hours. Address of Pakistan Embassy in Turkey is Gazi Osman Paşa Mah. İran Cad. No: 37 Çankaya / ANKARA. In addition to the embassy in Tokyo, Pakistan also has a consulate in Osaka. Japan has 5 offices in Pakistan. These offices include an embassy in Islamabad consulates in Karachi, Lahore, Peshawar, and Quetta.